Charter a private flight to Seattle, the largest city in the Pacific Northwest and the seat of King County, Washington. Renting a private jet into the “Emerald City” is the most luxurious way to travel, whether you’re flying private for business or leisure. Seattle is the birthplace of the Boeing Business Jet and is the Pacific Northwest’s top private flight destination; (KSEA, SEA) Seattle-Tacoma Int’l Airport and (KBFI, BFI) Boeing Field have also become a popular hub for business jets heading into Asian markets. Air Charter Advisors offers on-demand private air charter service to/from Seattle, and with access to thousands of private aircraft around the world, we’re confident we can arrange the right aircraft for your trip, whether you’re flying internationally or domestically. Our private jet team is available 24 hours a day and 7 days a week to offer you the highest standards in quality found in the industry. Wyvern-certified, our Seattle aviation team also maintains the most stringent safety standards in the industry. 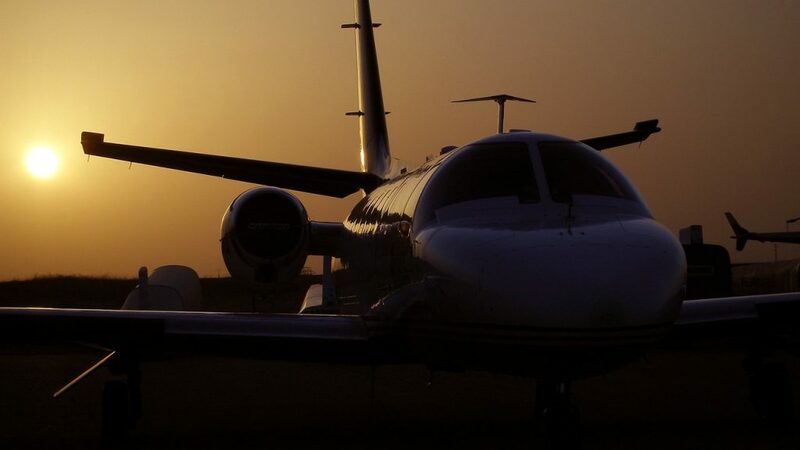 All of the private aircraft we use for charter flights are operated by FAR Part 135 (or foreign equivalent) air carriers, and our transparent booking service will ensure you get exactly what you expect on flight day. 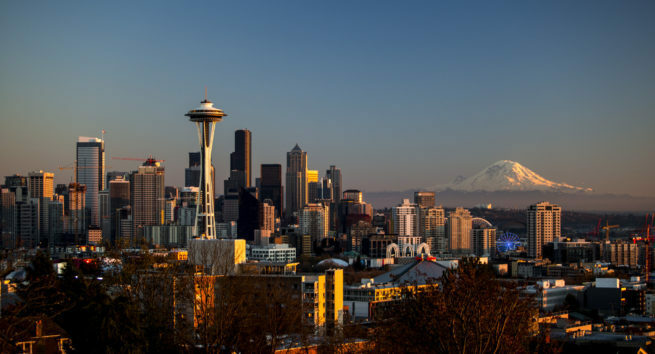 We have years of experience working with a wide range of clientele in Seattle, providing exceptional service to heads of state, celebrities, and top business executives. If you’re planning on flying private to the area, our Jet Charter Seattle brokers can arrange the perfect flight itinerary to suit your needs. Give us a call or request a quote for your charter flight to Seattle, Washington. Our team can assist with all of your private aviation needs, from booking your private jet and creating its flight itinerary to arranging gourmet in-flight catering, luxury ground transportation or meeting any other requests you may have – consider Seattle Private Jet Charters your one-stop shop for all things private aviation in the Pacific Northwest. ACA has access to the following Wyvern-certified aircraft for your Seattle private flight. All of the aircraft we utilize for charter service are operated by FAR Part 135 or 121 (or foreign equivalent) air carriers, using only veteran pilots in the private jet you’re renting. Our Seattle air charter brokers will provide you with a variety of aircraft options in Seattle based on the goals and budget of your trip, allowing you to charter a cost-effective aircraft, or the most luxurious, stylish corporate jet on the market. Check out our Aircraft Gallery for more details on all of the aircraft available for your trip. The lush greenery, abundance of evergreen trees and breath-taking views of the Cascade mountains to the east and the Olympic mountains to the west earned Seattle’s nickname as “The Emerald City”, a fitting name for the largest city in the Evergreen State. Seattle is also home to the University of Washington, as well as vibrant art galleries, a thriving local music scene and one of the best park systems in the nation. Seattle was founded on the industries of fishing, logging and coal mining during the late 19th century, and by 1910, it was one of the county’s 25 largest cities. Although the economy was crushed by the Great Depression, prosperity returned during WWII, when Seattle-based Boeing turned the area into a center for aircraft manufacturing. Whether chartering a private jet to the Emerald City for business in its booming tech industry, or to enjoy a leisurely stay at some of the best luxury hotels along the west coast, we can help arrange the right aircraft and flight itinerary that best suit your needs. After your charter jet lands at Seattle-Tacoma International Airport (KSEA), start downtown in the largest tourist area, the Pike Place Market, and check out the famous fish market, original Starbucks Coffee shop, and large indoor and outdoor markets. The Pike Place Market is central to many of the city’s best attractions, making it a perfect place to base your day around. 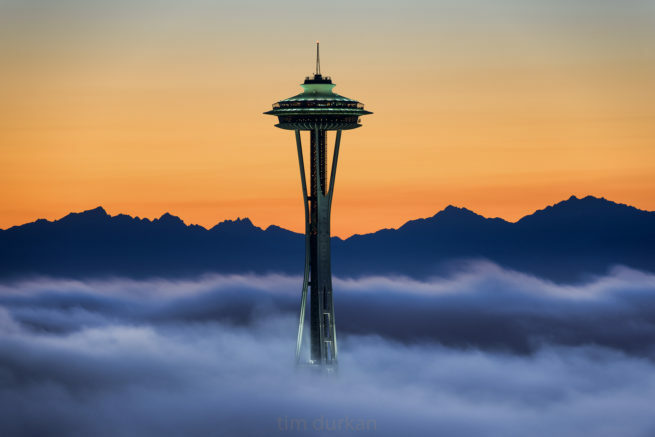 From here, you can head over to Seattle’s icon, the Space Needle, a 605-foot tall observation tower with a revolving restaurant. As the tower rotates, you’re provided with breath-taking views of the Olympic and Cascade Mountains, Mount Rainier, Mount Baker, Elliott Bay and its surrounding islands. After taking the Space Needle for a spin downtown, stop by the Nordstrom’s flagship store, originally opened as an upscale department store in 1901 and connected to the Pacific Place Shopping Centre via skybridge. Aviation museums and exhibits are easy to find, as well. 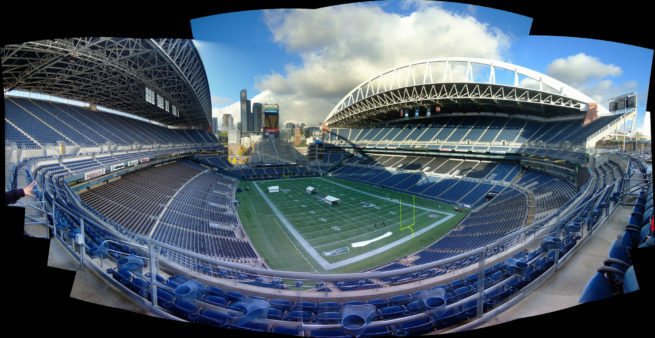 If you’re a sports fan, Seattle has teams in Major League Baseball (Mariners) and the National Football League (Seahawks) – they also have the best fanbase in all of Major League Soccer (Sounders FC). Seattle’s musical history is also noteworthy. Although most of our clientele will know its dirty 90’s grunge sound that spawned bands like Nirvana, Soundgarden and Alice in Chains, the city was rooted in jazz before cranking up the distortion. From the 1920s through the 1950s, around two dozen jazz nightclubs kept Seattleites entertained along Jackson Street, all the way from the current Chinatown/International District to the Central District. Jazz icons such as Ray Charles, Quincy Jones and others developed their sound and careers in Seattle’s early jazz. On another note, more specifically, those form the Federal Reserve, Seattle is the fourth richest city in the United States as of late 2015 according to Bloomberg Magazine. Since the start of the economic recovery in 2009, its GMP per capita grew by a cumulative 7.9 percent. During the early 1980s, Microsoft was established in the city and technology started to emerge as Seattle’s next big industry. The following decade would see an economic revival with a steady flow of new software, biotechnology, and Internet companies, most notably the founding of Amazon.com in 1994. All of this growth and its economic importance around the globe led to Seattle hosting the World Trade Organization Ministerial Conference, an event overshadowed by protests. Public market overlooking the Elliott Bay waterfront that opened on August 17, 1907, and is one of the oldest continuously operated public farmers’ markets in the United States. From the Waterfront to 2nd Ave, between Lenora St. and Union St.
Seattle is home to some of the biggest companies in the world, making it a popular destination for business jets and executive charter flights. In addition to Microsoft, Boeing and Amazon, other major companies based here include Costco, Nintendo of America, Starbucks and T-Mobile. 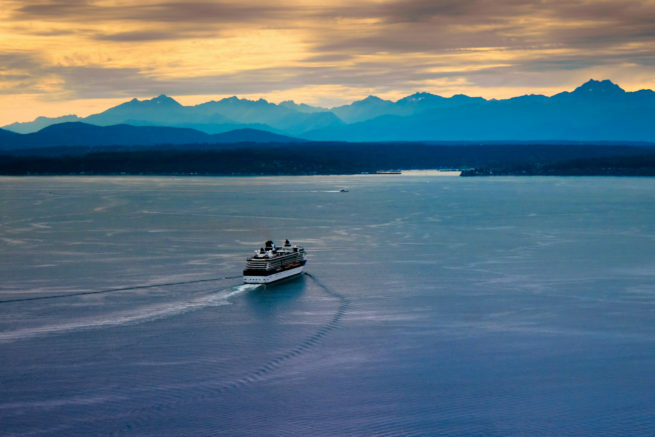 The Port of Seattle is a major trade gateway between North America and Asia, ranking as the 8th largest port in the country (per capacity); the port also services many cruises on their way to Alaska and it operates (KSEA) Seattle–Tacoma International Airport. Despite relocating their headquarters to Chicago, Boeing still has aircraft manufacturing plants based in the Seattle area. Between one plant in Everett, and one in Renton, where the company also maintains its largest operation, Boeing is still the largest private employer in the metropolitan area. Since 2006, Biotech companies have taken off in Seattle, particularly in the redeveloped South Lake Union neighborhood. Seattle is also home to several charitable organizations, including the the headquarters of the Bill & Melinda Gates Foundation, PATH and the Institute for Health Metrics and Evaluation. 168 global health organizations were counted in Washington state by the Washington Global Health Alliance in 2015, and many of those are based in Seattle. Air Charter Advisors believes in providing business flyers in Seattle with a one-on-one consultative jet charter experience that exceeds every expectation. We understand that time, privacy, flight preferences and most of all, safety, are all extremely important. Our charter brokers are available by phone and email 24 hours a day, 7 days a week. When using our private jet charter Seattle service, you can expect quick response times and an easy, hassle-free booking process. Request a quote or call one of our private air charter specialists to arrange your private flight to Seattle, Washington. 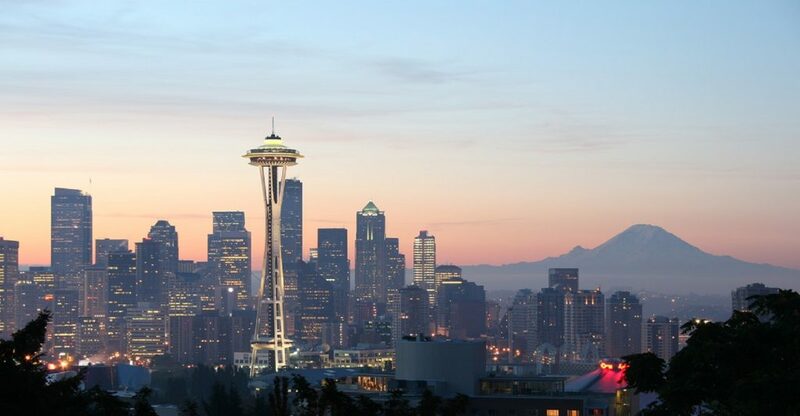 Charter a luxury plane to Seattle, one of the top travel destinations along the west coast. Seattle is the cultural and business center of the Pacific Northwest, home to a variety of museums and galleries, a thriving local music scene and a fast-growing tech industry. Although the city is notorious for its rainy days and perpetually dark, gloomy skies, the weather is surprising pleasant, especially during the summer months. Between the months of October and April, Seattle is mostly or partly cloudy six out of every seven days, so try to plan your trip during the summer/early fall months if you plan on enjoying the outdoors. As far as where to stay, Seattle and the surrounding areas of Bellevue, Woodinville and Kirkland offer plenty of luxury options for leisure or business travel. The Four Seasons located downtown (http://www.fourseasons.com/seattle/) is regarded as the top luxury hotel in the area, complete with an acclaimed restaurant, Goldfinch Tavern, along with a rooftop view, outstanding city views and spacious, comfortable rooms. Although its location removes some of the opulence found at other Four Seasons locations, what it lacks in ambiance it makes up for with incredible views and a central location to the best activities in the city. The following list of our top choices was created based on factors such as Air Charter Advisors passenger feedback, location, amenities and online reviews. Once you arrive in Washington via luxury private jet, our brokers can also arrange ground transportation to/from the hotel of your choice. Air Charter Advisors utilizes the following airports to fly clients privately to/from Seattle, Washington and neighboring areas of the Pacific Northwest. Private helicopter charters in Seattle may be available to help you get to meetings or conferences on time by avoiding the heavy traffic congestion of roadways. Ask your charter broker about arranging a helicopter lift while you’re here. The largest U.S. airport in the Pacific Northwest, Seattle-Tacoma International Airport, also known as Sea-Tac, is located about 12 miles south of downtown in the eponymous city of Sea-Tac. (KSEA) Sea-Tac Airport features 3 parallel runways made of concrete, with lengths suitable for any type of aircraft, from turbo-props and light jets to heavy jets and VIP airliners. Call or email us for private air charter or helicopter flights to/from Seattle Tacoma International Airport. Named after the founder of Boeing Jets, William E. Boeing, (KBFI) Boeing Field is the most popular choice for business jets and executive charter flights due to its proximity to Seattle’s downtown business district, and is most commonly used for general aviation and air cargo charter. The airport features two asphalt runways, one of which measures 10,000 feet and is used by the Air Force. (BFI) King County Airport is also a U.S. Airport of Entry, with U.S. Customs, Immigration, Public Health and Agricultural Inspection Facilities on site. Aviation lovers can check out the famous Museum of Flight at King County Airport, featuring historical aviation exhibits, including an ex-British Airways Concorde. (KRNT) Renton Municipal Airport is a general aviation field located in Renton, King County. The airport borders Lake Washington and the Will Rogers – Wiley Post Memorial Seaplane Base to the north. (RNT) Renton Municipal is located about 12 miles southeast of Seattle, and U.S. Customs service is available for passengers if necessary. 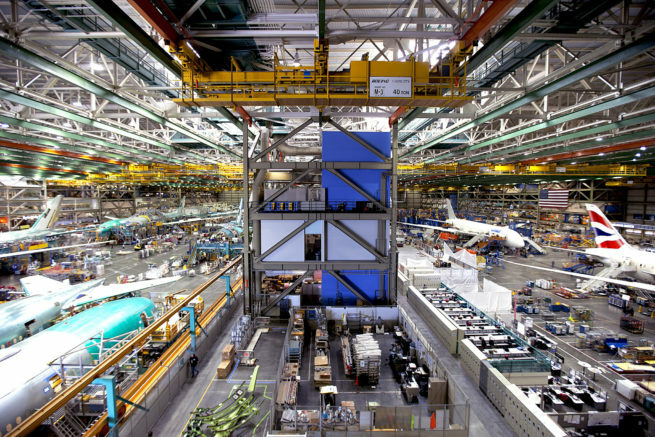 Boeing’s facility is adjacent to Renton, and uses it as the departure airport for its recently manufactured aircraft. Paine Field, also known as (KPAE) Snohomish County Airport, features 3 runways, one of which is suitable for most charter jets. in addition to offering our jet charter clients an additional option for arrivals and departures, like Renton, Paine Field is home to a Boeing facicilty, the world’s largest building by volume where 747, 767, 777 and 787 aircraft are manufcautred. Aviation Technical Services (ATS) is also based at (PAE) Snohomish County Airport. Tacoma Narrows Airport is a county owned general aviation airport located in the central business district of Tacoma, Pierce County. (KTIW) Tacoma Narrows features a single 5,002 foot runway, allowing light jets and select mid-size jets to utilize it for private charter flights. Request a Quote or give us a call at 1-888-987-5387 to speak with one of our Seattle Private Jet Charter agents for your next luxury vacation, business trip, or special event.